The Edge Leaders Magazine is a newly re-branded quarterly business magazine that has a circulation of over 40,000 copies in North America, mainly United States and Canada, with many others from all over the globe, visiting the website on a daily basis to keep up to date with the latest in business and entrepreneurship. Formerly published as World Index, The Edge, has been in circulation since 2011. It focuses on celebrating success stories of business people – what motivates them and how they overcame obstacles in their journey to the top. The magazine also promotes promising leaders of the Gen Next era who are on their way to make a mark in their field. The Edge Leaders Magazine organizes and promotes key local talent and businesses through a series of networking and motivational speaking events. The events are held for the local population in various cities across Canada and focus on enhancing new business ideas as well as connecting people with mentors and sponsors who could further help them in the quest of their ambitions. The Edge Leaders Magazine engages readers and offers advertisers integrated solutions via both print and website advertising as well as sponsorship opportunities for our events, inspirational videos and podcasts, to effectively reach target audiences. 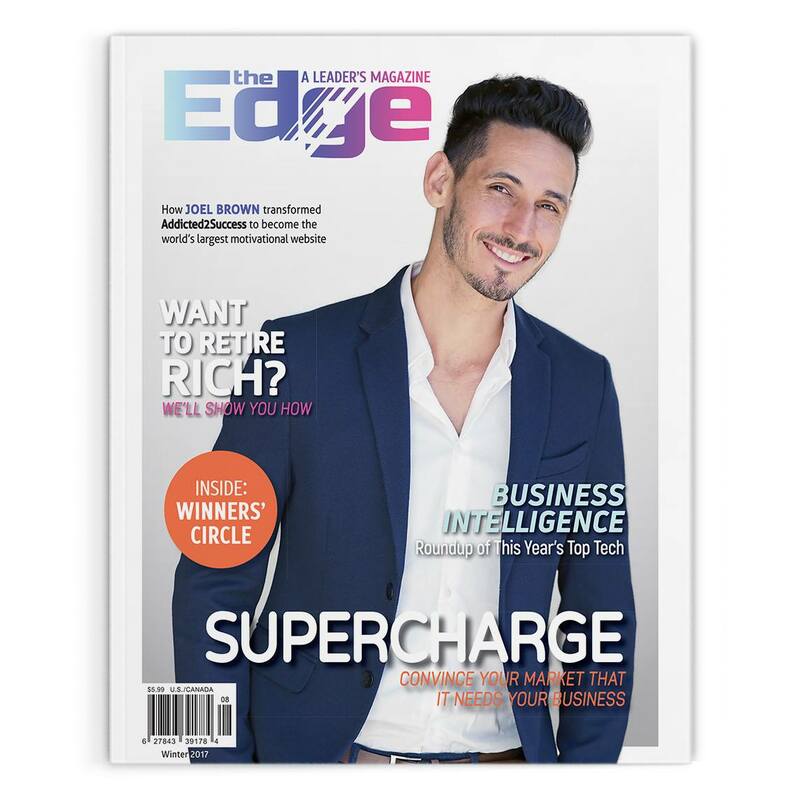 With a longer shelf life and engaging and entertaining editorial content, The Edge Leaders Magazine offers a high Return on Investment (ROI) for advertisers in attracting and retaining customers. Check out the media kit, and contact me for exclusive and customized advertising packages, advertorials and content marketing.